When storms and other natural disasters strike, small businesses are especially vulnerable to power outages. While larger companies may have multiple locations that can pick up the slack while operations at one site shut down, the same is usually not true for the typical small business. As a result, small business owners should take every available precaution to protect themselves. In fact, failure to plan for a power outage could result in a loss of business, inability to communicate with customers or clients, temporary or even long-term closure, and loss of inventory. Companies can combat these potential issues by obtaining a generator, which will help restore electricity in the event that power goes out. Regardless of whether you're a one-man show or a rapidly growing small business with numerous employees, having a generator onsite can help avoid the pitfalls that might otherwise ensue in the event of a power outage. The information below outlines some basic information all small business owners should consider when determining whether to purchase a generator. Two basic varieties of generators are available on the market. 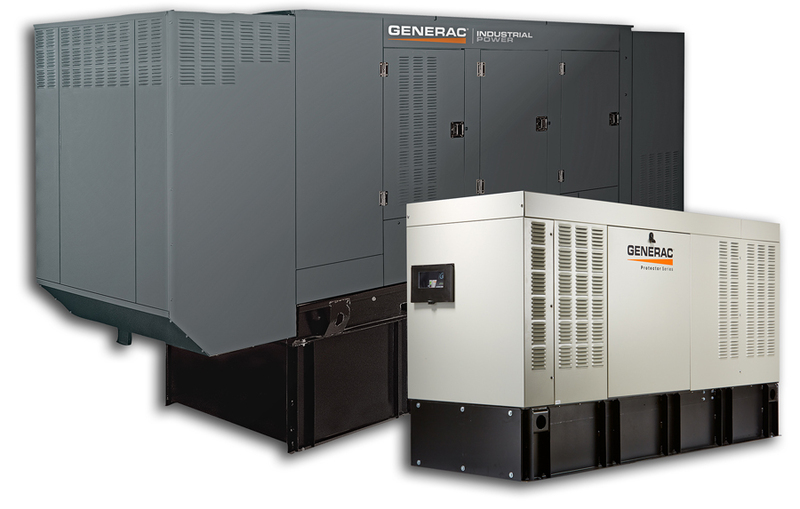 Automatic, or standby, generators are permanently connected to a building's electrical system. When the power shuts down, those generators automatically detect the problem and restore power to the building. On the other hand, portable, or backup, generators run on gasoline or diesel and have to be manually installed once a power outage occurs. While automatic generators require little or no work for the business owner, portable generators are typically less expensive. When it comes to generators, safety should be the first priority. Portable generators often emit potentially harmful levels of carbon monoxide. Therefore, they should never be placed indoors when operational. Instead, most manufacturers and industry experts recommend placing standby generators outside at least ten feet from the building it is servicing. That reduces the possibility that harmful emissions will enter the building through windows, doors, or other openings. However, as an extra precaution, management should ensure that buildings are equipped with operational carbon monoxide and smoke detectors. In addition, use heavy-duty, grounded extension cords that are designed for outdoor use. Never refuel gas-powered generators while they are running. In fact, it's best to let the generator cool off completely before refueling to avoid a fire or explosion. Before making a purchase, discuss your energy needs with a company representative or salesperson. A typical generator cannot harness enough wattage to power an entire commercial building. Therefore, focus on what your main priorities will be in the event of a power outage and ensure that the model you select can satisfy your needs. First and foremost, you should always operate a generator according to the manufacturer's instructions. Consulting local building codes may also be necessary depending on the kind of generator you select. And never be shy about asking questions of the retailer or a licensed electrician. It's much better to get all the information upfront rather than scrambling to find answers in an emergency situation. To minimize potential operational problems, generators should be tested periodically. Again, don't wait until you're in a bind and actually need the generator to find out that it isn't working properly. In addition, take great care not to overload a generator, as that could cause a fire or damage appliances. Unfortunately, noise is a normal byproduct of generator use. And some models are particularly loud. Therefore, operate the generator only when necessary to avoid disturbing neighbors. Automatic standby generators are generally quieter than portable models. Operating a generator only when necessary is important. If no power is needed at a given moment, make sure to turn off the generator to avoid waste. Also, keep in mind less expensive alternatives to running a generator. For example, in certain circumstances, battery-powered lights might work just as well as light fixtures fueled by a generator. A generator may not be a foolproof solution to keeping your small business going during a power outage. However, generators can be helpful in minimizing the problems that going off grid can cause. For more information, contact South Shore Generator in Wareham, MA.